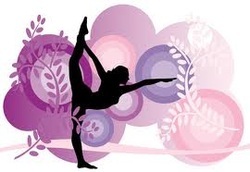 Yoga is not mere acrobatics - it is a holistic approach of uniting the body, mind and spirit. Yoga and yoga postures are beneficial as they bring a harmonious balance within your system. A state of total well-being is not just a healthy body, but a healthy mind and spirit too. Yoga works on all these facets. Weight loss, a strong and flexible body, glowing beautiful skin, peaceful mind, good health – whatever you may be looking for, yoga has it on offer. However, very often, yoga is only partially understood as being limited to asanas or yoga poses. As such, its benefits are only perceived to be at the body level and we fail to realize the immense benefits yoga offers in uniting the body, mind and breath. When you are in harmony, the journey through life is calmer, happier and more fulfilling. Yoga practice helps develop the body and mind bringing a lot of health benefits yet is not a substitute for medicine. Yoga is a natural exercise for everybody. We have been doing yoga right from the time we were babies. Yoga can give you the energy and enthusiasm to create your weight loss plan and more importantly the inner strength required to stick to the plan. Create a strategy based on clear understanding of your problem. Yoga can support your weight loss goals by giving a healthy direction to your life energy. Balance your body with yoga postures. Some yoga postures, when done correctly, massage the endocrine glands and the digestive system which improves digestion. Lastly and most importantly, control how much, how & what you eat with yoga. Regular yoga practice can give you a valuable and unshakeable body consciousness that will help you eat less and help you eat the right food.Yoga is not mere acrobatics - it is a holistic approach of uniting the body, mind and spirit. Lastly and most importantly, control how much, how & what you eat with yoga. Regular yoga practice can give you a valuable and unshakeable body consciousness that will help you eat less and help you eat the right food. Before getting introduced to Yoga, my notion was that yoga is some way of complicating the body position either by turning upside down, rotating the body at dangerous angles and basically being uncomfortable. I used to wonder why I need to do these kinds of gymnastics in order to relax, until I realized what yoga truly meant. The Sanskrit meaning of the word Yoga is “Union”. Now the question could be, what does Yoga unite, as everything in our body seems to be united. But the realm of Yoga exceeds beyond the body level. It extends itself to other seven levels of existence: mind, body, intellect, memory, ego, breath and self. Yoga is uniting the body movements with the movements of breath and being completely aware of these at the level of the mind. Knowing this definition of Yoga was a big Eureka moment in my life. This meant that Yoga is happening every moment of my life…it’s just that I needed to be aware of it. Yoga is happening right now as I am typing on the keyboard if my mind is aware of the movement of the fingers and it is synchronized with the breath. The challenge was to keep this awareness during my regular activities at home and workplace. That’s when this idea struck me that till the time this awareness becomes a habit, the best way is to dedicate a few minutes to Yoga practice daily. I realized that the activities with the mind and breath are fixed. The mind can watch and breath can move in and out. So now what remained is to decide on the body movements. After trying out different things, I found what works best for me was 12 rounds of SuryaNamaskar, followed by one round of Padmasadhana. Both these activities take around 20 minutes of time. The beauty of Yoga is that, as we start becoming comfortable in certain postures, we can stretch to be in these postures for a longer duration of time. I have observed that after doing the rounds of SuryaNamaskar and Padmasadhaana the mind itself tends to get into a meditative state. Spending some time doing Yoga prepared me well for the rigors of a challenging day at work. There are times when the pressure of work becomes so much that the mind keeps racing away from the present moment to create anxiety and unknowingly build stress in the system. At these times if we have been regularly practicing Yoga, then through awareness, we can bring down the pace of the mind and again settle down to Yoga, i.e., bring the mind in sync with breath and the work being done by the body. From my own experience, I have observed that this racing of the mind is the biggest hindrance from celebrating life every moment. Children below eight years do not have this problem – that’s the reason everyday routine things fascinates them so much. Sri Sri Ravishankar, founder of the Art of Living says, every child is a born yogi. We see that small children are able to do all the complex asanas with ease. We have also done the same when we were children; it is just that we have forgotten this. This knowledge of Yoga is innate in us, it’s our very nature. We just need to remember that and get back to doing this practice. We can start off with 5-10 minutes in a day and gradually expand our capacity. Slowly but surely, with regular practice we can find ourselves being in Yoga for most part of the day. That’s what the Art of Living Courses have done to me bringing me back to the child like state – Joyful and celebrative.